This is a simple one server, two disks configuration, mirroring Volume X on Server A to Volume Y on Server A. The volumes that are used for Disk-to-Disk replication can’t also be configured to replicate to another system. *Disk to Disk does not support mirrors with multiple targets. 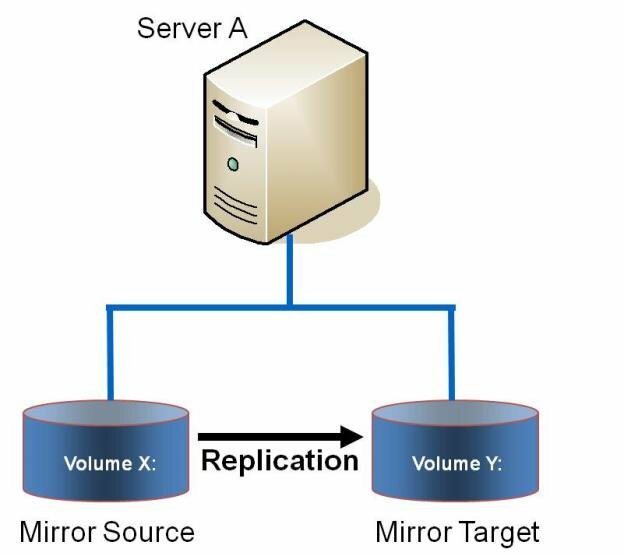 Replicate data from one volume on a server to another volume on the same server. These disks can be different storage arrays, protecting against data loss should the primary SAN fail.